Get ready, it’s time to talk about Christmas candy packaging. That got your attention, didn’t it? It’s the most wonderful time of the year (according to classic Christmas music), and your favourite candy brands are back at it. They’ve pulled out all the stops (and some great puns) to grab your attention and celebrate the holidays. We’ve already shown you 7 spooktacular examples of Halloween candy packaging we love—so in keeping with the holiday season, here’s 7 festive examples of Christmas-themed candy packaging. 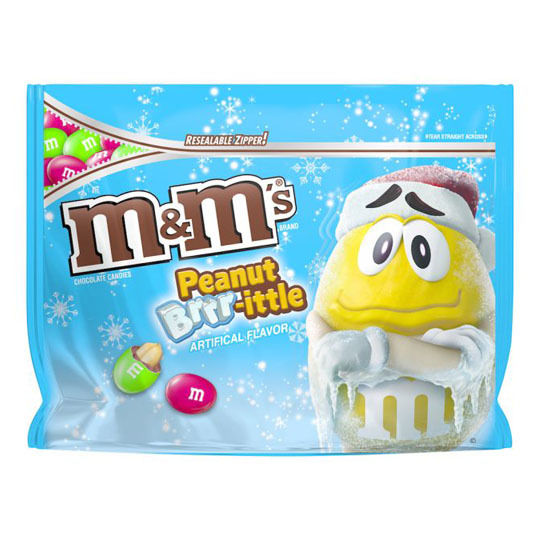 Among the most recognizable candy brands out there, M&M’s always does a great job with their themed packaging. Christmastime—or maybe even more appropriately, wintertime!—seems to be no exception, with that poor freezing mascot decked out in a Santa hat. And though peanut brittle isn’t necessarily Christmas-exclusive, you can’t deny that’s a seriously funny pun. 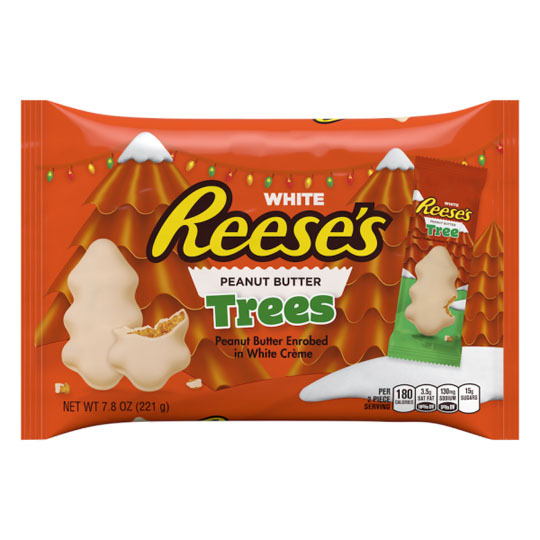 Reese’s gets in on the Christmas candy packaging act with some festive outer packaging and some snow-covered peanut butter trees. These work great as stocking stuffers, a surprise that’ll get everyone talking (have you ever known anyone to check out new packaging and not mention it?). After all, what’s better than a Christmas tree? An edible one, full of peanut butter! We don’t know about you, but we love ugly sweater parties (and may have won two or three in our time!). More and more, ugly sweaters seem to go hand-in-hand with the season, with everyone trying to one-up each other. 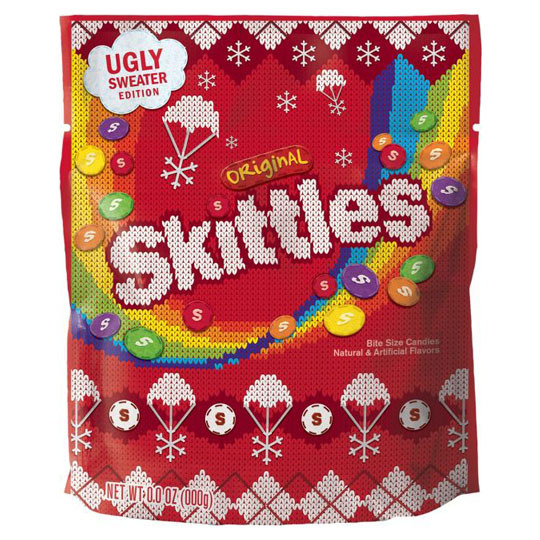 Skittles smartly takes the holiday tradition and wraps their candy in a great reminder of one of the more unique things about Christmas. A good example of Christmas candy packaging that takes the unexpected road and stands out even more. 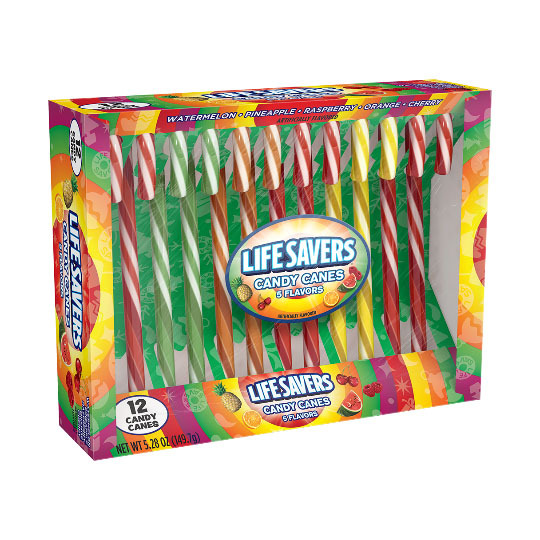 Speaking of unexpected, when most people think of Life Savers Christmas candy packaging, they’re probably thinking about the Live Savers storybook sets (yet another great addition to a stocking!). So, it’s all the more interesting to see them tied to the holiday season using one of its most iconic symbols: the candy cane. They won’t last long on our Christmas trees, that’s for sure! 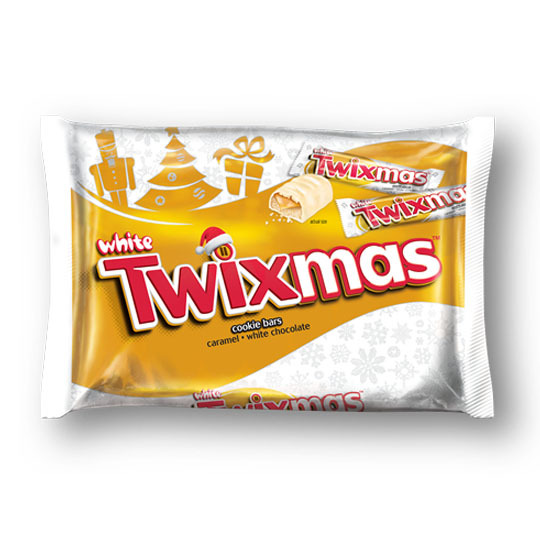 Twix goes all in with their Christmas candy packaging, don’t they? A snowy white wrapper covered in snowflakes and golden holiday objects—there’s even Santa’s hat. But what really takes the cake (or maybe the white chocolate-covered cookie bar?) is that clever pun for their holiday name: Twixmas. Sure, we love the packaging, but we’re suckers for a great joke. There’s no Christmas chocolate quite like Godiva, is there? It’s delicious, and what’s more, so is its packaging. Christmas tree-shaped, covered in ornaments and filled with chocolate presents, it’s like the whole holiday season was boxed up into one package. 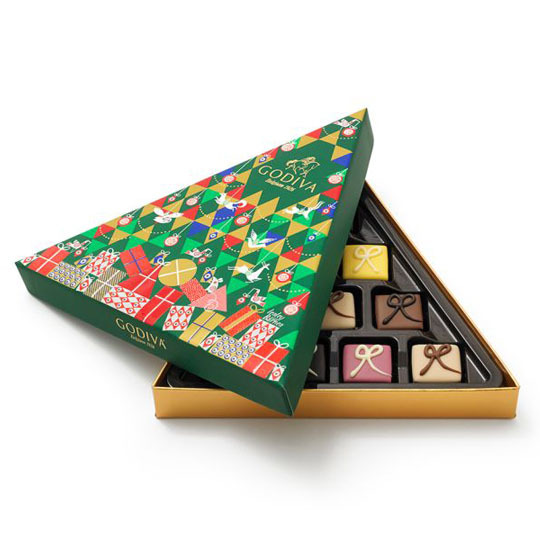 It’s a smart design, and joins a history of smart Godiva packaging. Sometimes it’s the simple touches that work the best. Using a gold stretch of ornaments and holiday shapes around Dove’s wrapper clearly shows this is Christmas-themed packaging. 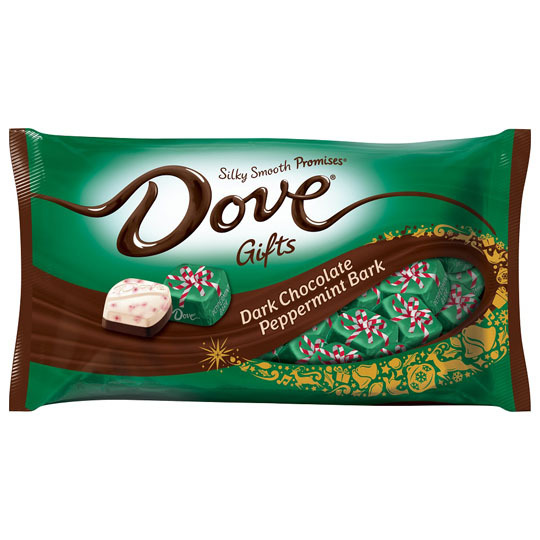 The equally simple but clever choice to wrap each piece like a present elevates Dove above other chocolates. I don’t think we can wait until Christmas morning to unwrap these. 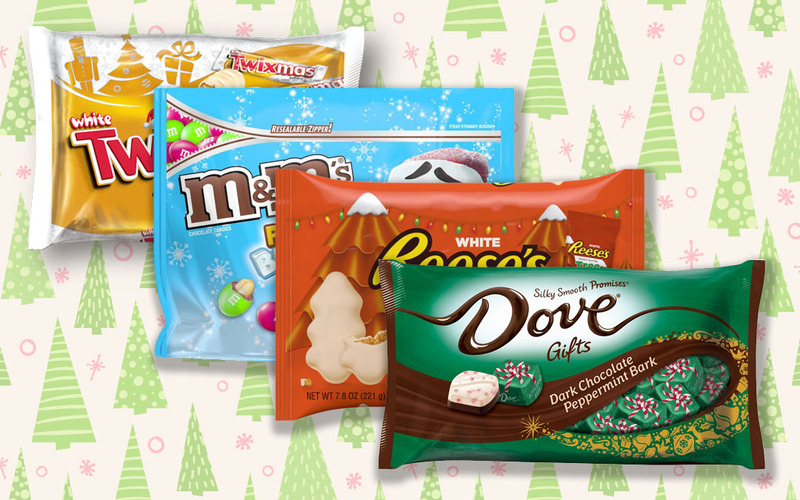 We love great packaging of all kinds, and we just might love Christmas candy packaging the most. We’d love to know what your favourite Christmas candy packaging is, so make sure you share them with us on social media!